Rahmschnitzel. Photos by Ted Scheffler. 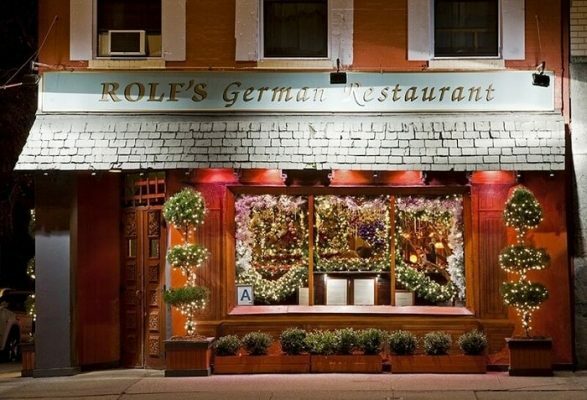 When I lived in New York City, one of my favorite neighborhood haunts was a place called Rolf’s. 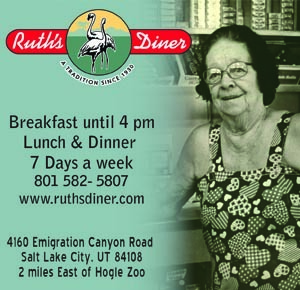 About once each month I’d eat dinner there because I loved one of their German dishes so much: rahmschnitzel. 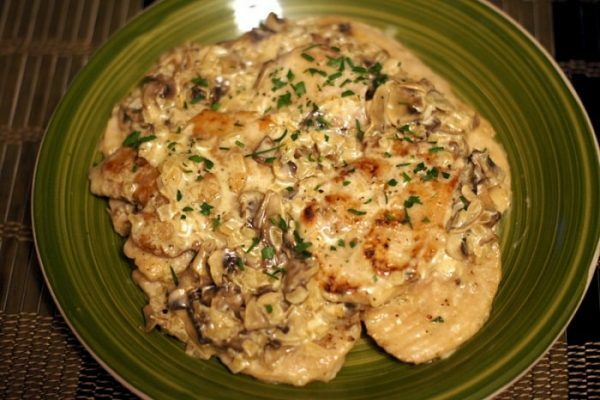 “Rahm” means cream in German and rahmschnitzel is thin-sliced pork or veal in a rich cream sauce. It’s sooooo good! 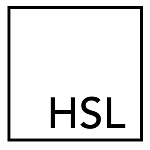 Heat heavy bottom skillet over medium-high heat with the oil. Heavily season all-purpose flour with salt & pepper. Dredge pork cutlets in flour mixture, brushing off excess. When the skillet is really hot, but not smoking, place all four cutlets in the pan. Brown the first side and flip, reducing heat to medium. Remove the meat from the pan when the second side has started to brown—the pork should be almost cooked through. Set aside on a plate. Add the onions to the skillet with the browned meat drippings. Sauté until translucent, lower the heat slightly so as not to brown the onions. Cook for about 7-10 minutes total. Increase heat to medium-high, deglaze the pan with white wine. Gently scrape the pan with wooden spoon or spatula as wine starts to bubble. Add the mushrooms, cook for about 5 minutes. Lower the heat to medium and add the cream. Allow cream to come to a boil, reduce heat to a simmer. Give it a stir every couple of minutes until the sauce begins to thicken, season with salt and pepper to taste. Return the pork cutlets and all the drippings back into the pan, heating the pork all the way through. Transfer to plates or a serving dish and garnish with chives or parsley.